In this Mechanical Comprehension Test Guide you’ll find practice tests, coaching videos & 5 Top Tips for success. Let’s get started! 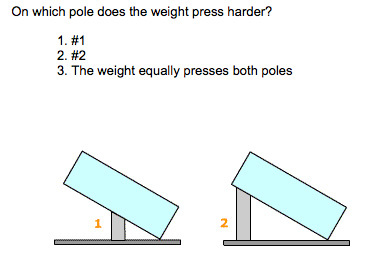 1) You can get hold of practice mechanical comprehension tests here. 2) Take a look at our aptitude testing page here – It will be a treasure trove for you in preparing for your mechanical comprehension test. Ok, let’s quickly cover the basics and then we’ll get into the detail of how to pass your mechanical comprehension test. 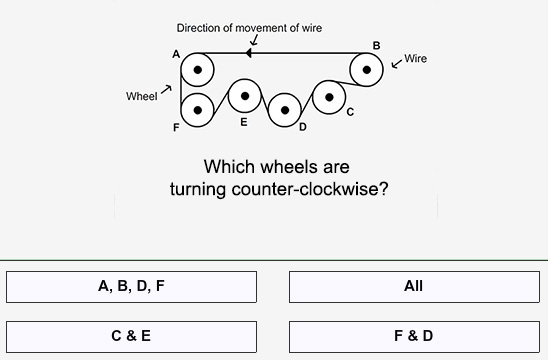 A mechanical comprehension test is an aptitude assessment that’s widely used by employers to assess candidates for technical or engineering roles. What will I have to do in my mechanical comprehension test? You’re going to have to use your knowledge of mechanical principles, in order to solve problems. What does this concept tell us? (How can we use it? What decisions should we make? What type of questions will I have to answer? 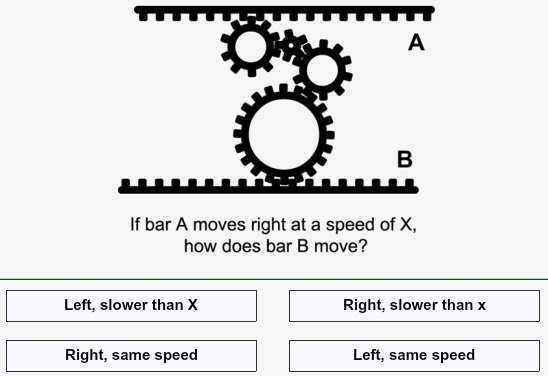 Mechanical comprehension tests are designed to assess your knowledge across many different areas; these might include friction, gravity, acceleration, pressure, moments, circuit diagrams, energy transformation, kinetic and potential energy, charge, magnetism, work and power, levers, pulleys, screws, gears, springs, etc. 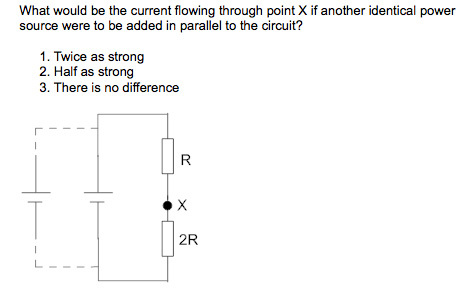 So here you can see the above points in action: 1) Do you understand this concept? and 2) What does it tell us? Nearly all mechanical comprehension tests are multiple choice. There will only be one correct answer. How long will I have for each question? This will vary based on the format of your test, but as a general practice rule, aim to give yourself 20-30 seconds to answer each question. Do I have to sit the test at a computer? The vast majority of mechanical comprehension tests are now computer-based. But unlike most other areas of aptitude testing, mechanical comprehension tests are sometimes still taken with a good ol’ fashioned pen and paper. Unlike other areas of aptitude testing, there is huge variety across the format of mechanical comprehension tests. 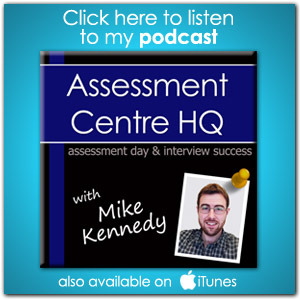 If you have questions around the pass rate/pass score, the timings of the test or the amount of questions you should contact the employer and ask them. Don’t be afraid to ask the employer for this info; it shows that you are preparing diligently and are serious about succeeding. They will be impressed. Will my mechanical comprehension test be relevant to my specific role? Sometimes. The type of mechanical comprehension test you sit can depend on the industry of your role, but most tests assess common principles so they tend to remain fairly consistent. Remember that it is your knowledge of mechanical principles that will help you answer the questions, not knowledge of the job role itself. Is it possible to improve my ability before my test? Yes, absolutely. These abilities are not innate; you can significantly boost your chances of success through preparation and study. The best way to improve is to repeatedly take practice tests. This improves both your competence and confidence, it’s a big multiplier. Setting aside 30-60 minutes a day before your test to study will transform your chances of success. Use practice tests to identify where you are weak. Then study in those areas. This video from Richard McMunn is useful for covering the basics of your mechanical comprehension test. You need to work fast and be accurate. Remember you are being timed against other candidates, so literally every second counts. Use your practice tests to improve your speed. Aim to reach a point where you can answer a question within 20-30 seconds. You may get flustered because there are too many questions and not enough time. Don’t worry about it. Most mechanical comprehension tests are designed in a way that only 5% of the population can answer all questions within the given time frame. If you’re in that 5%, great job! If you’re in the remaining 95%, you should work as quickly as you can, without sacrificing accuracy. It’s all about getting that balance right. Again, practice will help you find that balance. Check out our article on dealing with interview nerves for more tips on staying calm. Some test providers deduct marks for incorrect answers. This is to stop candidates from entering guesses, in the blind hope that they may get lucky. The moral of the tale? Don’t guess frivolously! If you come up against a particularly hard question, move on and come back to it later if possible. Don’t dwell. 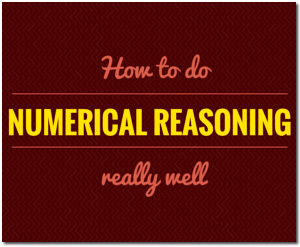 You could correctly answer 3-4 questions in the time you would spend agonizing over a difficult one. 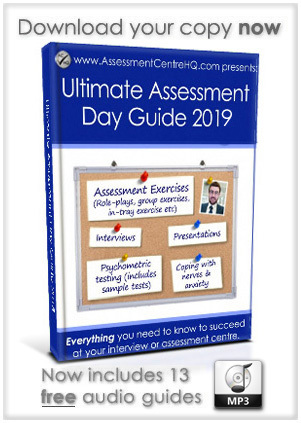 We hope you enjoyed this free guide and found it useful? 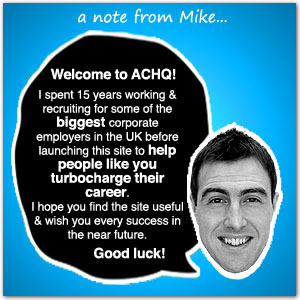 We wish you the best of luck in your future career and with your mechanical comprehension test.